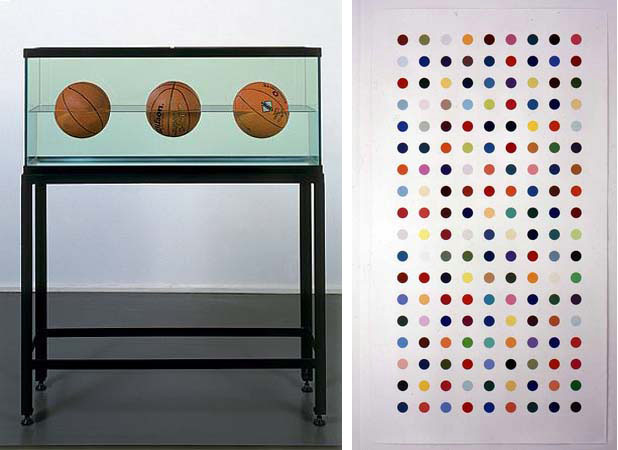 »Three Ball Total Equilibrium Tank« by Jeff Koonst and »Methamphetamine« by Damien Horst from the »Saetchi Collection« by Nika Oblak and Primoz Novak. 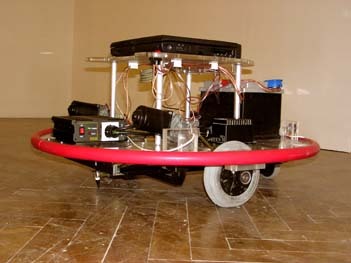 »Smartist« is a independent mobile robot that replaces an artist. It lives in the exhibition area where it moves freely and and occasionally writes the signatures of Nika Oblak and Primoz Novak on the gallery floor.